Behold! 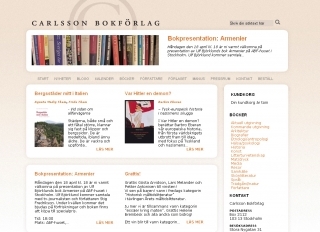 A homepage made for Carlsson Bokförlag. A collaboration with my former classmate, David Sjöqvist. Design by David. Code and stylesheet by me. 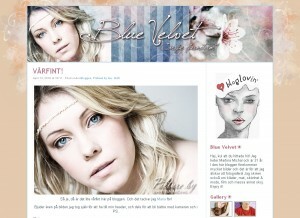 Spring is in the air and certainly in this WordPress theme I did for Martina Michal and her blog Blue Velvet. Here’s a description of the theme: Just as sweet and soft as the fuzzy cheek of an apricot in a warm summer breeze. Fitting, right? If someone out there still thinks all I can do is dark, fantasy designs – think again. 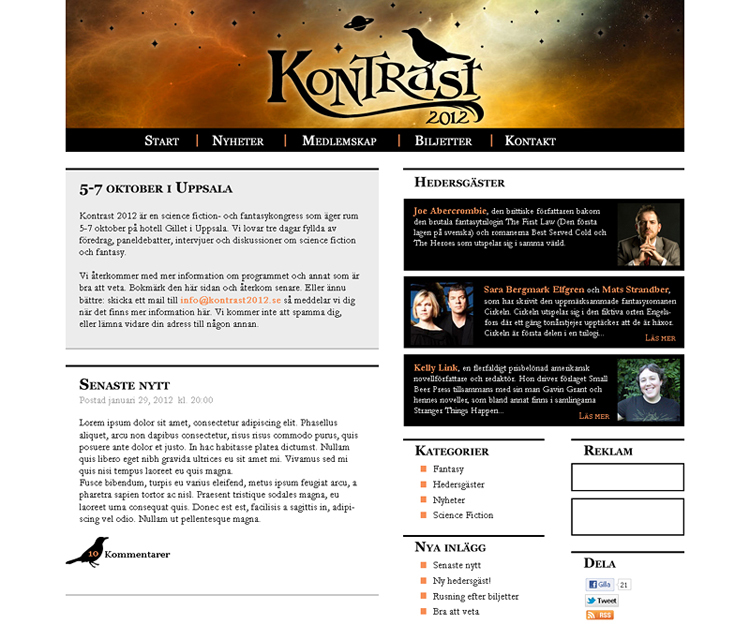 This is a WordPress theme I’ve made for Anna Högberg and her website: Mörkrets Väktare. I’m quite proud of it actually. This is the most advanced website design I’ve done so far, I think. Lots of bits and pieces of graphic that’s supposed to end up in the right position no matter what. Always very challenging. But alas, this one works in IE, FF, Chrome, Opera and Safari as far as I know. Anything less would be really bad of me. …beautiful in a dark way, and a place where you can find will’o’wisps and shadow creatures among mighty trees and enchanted ponds. 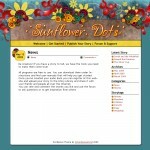 A sunny, funny WordPress theme filled with warmth and joy. Inspired by the flag of Uganda and African dance. This theme was designed for a school project about creating and distributing audio books in Uganda. 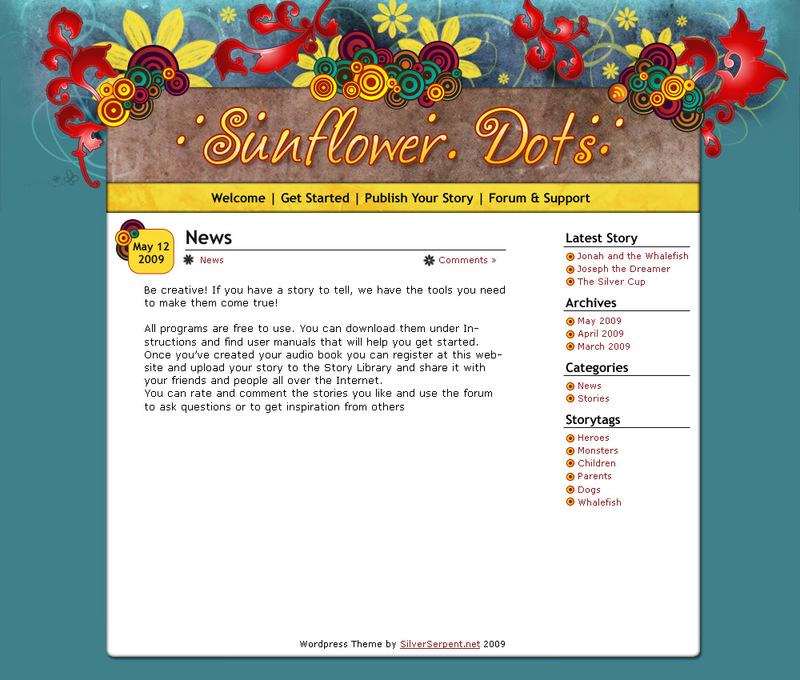 The prototype website is called Share Your Story. 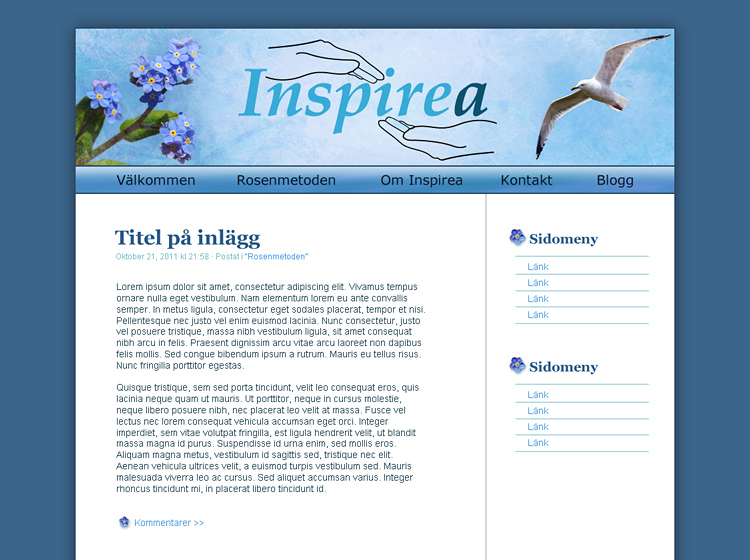 I don’t know if the website will be used or not, but the WP theme is nice nevertheless. 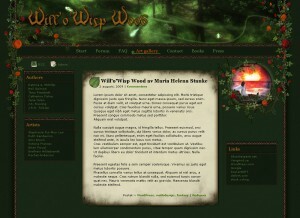 For more information about the project, see my school blog Go Digital (OBS! Swedish). This is a design I did some months ago for my classmate, David, and his blog Internet and identities. It’s called Virtual charades. (It’s in Swedish, but you might wanna check it out anyway). The first design was blue and white, but David wanted something black/pink/turquoise instead so that’s what he got. I like both versions in different ways. Which one do you like best?